Ever wanted something unconventional? Hey Baby are about to release their track Unconventional to fill that indie-rock shaped hole in the meantime. Following their singles 1800-WEED and KIDS, their new track Unconventional really hits the nail on the head as to who Hey Baby are. With a different side of the four-piece showing in this stellar rack, Unconventional is a thrashing tune, filled to the brim with drilling beats and catchy guitar riffs not to mention the lyrics that are bound to get stuck in your head. A track about love, in it’s purest, most irregular form, is one for the ages. 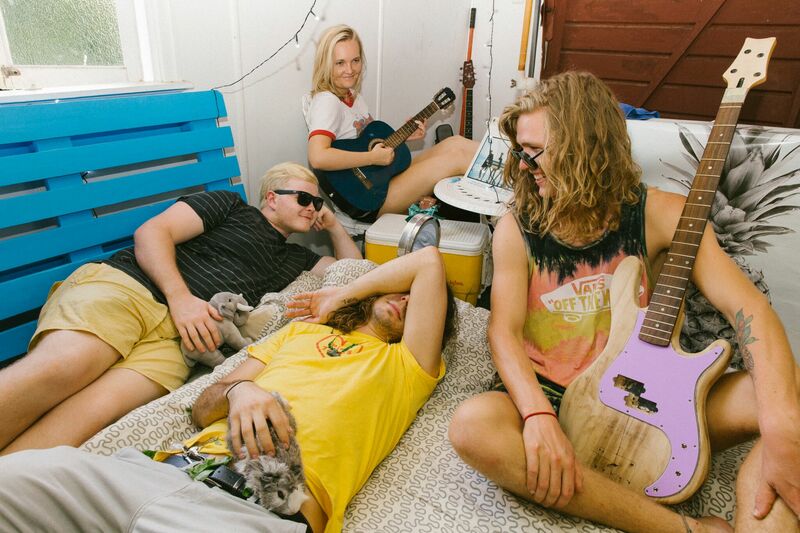 Sweet surf rock guitar riffs, upbeat drums and fuzzed out lyrics make up the summer tune. Unconventional is fast, its jittery and it’s one to dance around carelessly. To celebrate the release of Unconventional, the Brisbane based band will be hitting up Fortitude Valley’s venue Tomcat on the 12th of October for their single launch, accompanied by Sophisticated Dingo for their EP launch. Accompanied by Guava Lava and Video Avenue, it is set to be a good night. If you haven’t heard of Hey Baby, it’s time to get acquainted. Starting out in a small bedroom within the Blue Mountains about 8 years ago, Kacper Majchrowski (vox & rhythm guitar) met Jaeger Brodie (drums) when he made the massive move to Brisbane from Sydney in 2017. Meeting Sam Wilson (lead guitar) and Daniel Chlonta (bass) along the way, the antics of Hey Baby have only gotten better. Receiving incredible praise from media alike Bridget Hystwaite of Triple J, Happy Mag, AAA Backstage and Hysteria Magazine, this four piece is a band you shouldn’t be sleeping on. Glasgow’s finest returns for 6 dates….